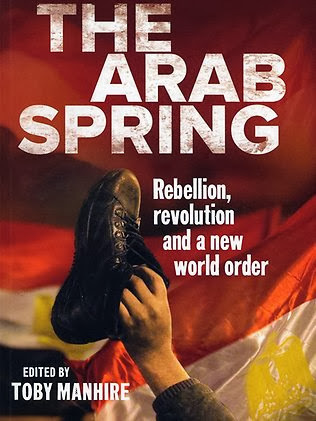 ArabSaga: Who killed the “Arab Spring”? Where are the young men and women who nearly three years ago crammed the plazas and public squares calling for the downfall of who they called the tyrant or the dictator or the despot? Do they remember the victory signs they raised when they heard news of his escape or his standing down or his killing? Do they recall the dreams they dared reflect upon in those days and their talk of democracy, state institutions, transparency, the transfer of power and the respect of human rights? Was their behavior actually motivated by their fervor, their innocence or their naïveté? Were they alien to their communities and ignorant of the degree of injustice permeating their depths and the wells of hatred waiting for an opportunity to explode? Did it escape them that the problem is basically cultural rather than political and that it is not enough to open the ballot boxes to turn over the page of the past? Did it escape them as well that centuries of darkness contributed to the incarceration of the Arab intellect and its disablement, rendering the Arab individual incapable of handling the keys to the future? That’s why I seize the opportunity of coming across anyone of the major players in the said “Spring” to ask for his assessment – especially now that some of the said ‘Spring’s’ theaters shut out the advocates of democracy and of modern state-building. I will not name my respondents because our discussions were not to be published. The man played an important role in his country’s “Arab Spring” when he dealt a painful blow to the despot under whose portrait he served for several years. “What you call the ‘Spring’ may have come early, before our societies became ready to embrace a transformation of this magnitude. “It turned out we still live in the depths of history. “With the tyrants’ fall, our societies began spewing all the blood, pus, hatreds, coercions and reprisals that accumulated in their guts. “We are in a terrible state of underdevelopment. Watch the screens. A university professor talks as if he has yet to enter the era of reading and writing. “Look at nation-states, like for example Iraq, Syria, Lebanon and Bahrain that are now paying the price of what took place between Ali and Muawiyah. “We discuss globalization and technology and then go to sleep in the caves of history. “Our capitals are closer to abattoirs overflowing with suicide bombers and assassins. “Our countries fail to provide regular power supplies to their citizens. Another player put forward a different reading. He said the most prominent killers of the “Arab Spring” are those who rushed to mold it, casting an image of their own interests. He said the West acted as a crook, especially Obama’s America. Washington wanted the phenomenon to serve the policy she adopted years earlier – in essence the policy of promoting to power what she calls moderate Islam, thinking that the latter could contain terror. He added: The Muslim Brothers, who were the better organized and widespread movement in the community, took this as an historic opportunity to devour it all. He also said Turkey played a role in killing the “Arab Spring” when she considered a “Brotherhood Spring” victory gives her a trump card in her strategic wrestling with Iran. He said Qatar used her financial might and international relations to prop up the “Brotherhood Spring” alongside Turkey. Russia, he remarked was focusing on stifling the “Muslim Spring” lest it turned into a card in the hands of the West or spread to her vicinity. He said Russia found in Syria’s events a chance to kill the “Arab Spring.” Iran was of the same opinion but for different purposes. The two men’s words helped me understand what is now going on in more than one Arab country. I got convinced the “Arab Spring” killers were more than one. Most probably a stormy season is just about to kick off – a long and painful transition season. The first condition for moving into the future is to exit the caves of history and bury the illusions of ready-made solutions. Labels: Ali, Arab Spring, Bahrain, Iraq, Lebanon, Muawiyah, Muslim Brothers, Qatar, Russia, Syria, Turkey, U.S.